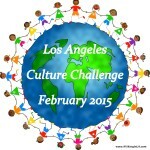 February is always a busy month for multicultural and diverse events in the Los Angeles area. It’s the month dedicated to honoring the achievements and contributions of African Americans to society, and we welcome the Lunar New Year. These events provide the backdrop for a multitude of opportunities to explore the richness of where we live. There are walking tours, live performances, art festivals and workshops, parades, museum exhibitions, and even an urban adventure race. What will you try this month? Chinese New Year Celebration, Saban Theatre, Beverly Hills, Sunday 2/1, doors open 7:30pm, performances 8pm-9:30pm. The fourth annual Beverly Hills Chinese New Year event will feature a full production of internationally acclaimed performances from Beijing Performance & Arts Group, including Chinese acrobatics from the China National Acrobatic Troupe, a Peking Opera piece by the renowned Chen Junhua, and other extraordinary dance and musical acts. Guests will also enjoy an art exhibition from Beijing Association for Cultural Exchanges (BACE). See website for mandatory advance ticket reservations. 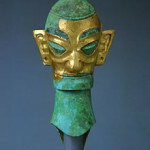 China’s Lost Civilization: The Mystery of Sanxingdui, Bowers Museum, Santa Ana, ongoing until March 15. Bowers Museum is proud to present the latest in its series of exhibits highlighting important treasures from around the world. China’s Lost Civilization: The Mystery of Sanxingdui will include objects from the discovery termed “the ninth wonder of the world” and acknowledged by many scholars as one of the greatest archaeological finds ever to be unearthed. The Undiscovered Chinatown Tour, Chinatown, Saturday 2/7, 10:30am-1pm. Visit a temple, an herbal shop, art galleries, antique stores, and more when guided to the unique treasures (and great bargains!) to be found in Chinatown. Wear comfortable shoes and be prepared to wind your way through a myriad of alleyways, plaza stalls, and classical courtyards to discover the charm of the area. 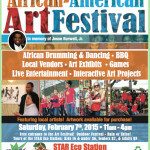 African-American Art Festival, STAR Eco Station, Culver City, Saturday 2/7, 11am-4pm. Enjoy African drumming and dancing, art exhibits, interactive art projects, BBQ, games, and local vendors. 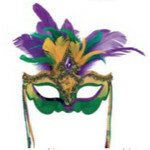 Brazil: Mardi Gras Masks & Hats (Family Art Workshop), Junior Arts Center at Barnsdall Art Park, Sunday 2/8, 10am-12pm. Participate in a free art class in the park. Each Sunday a different culture and media are featured. 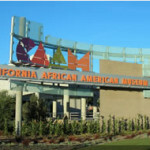 Celebrating Black History Month, California African American Museum (CAAM), Exposition Park, Sunday 2/8, 11am-4pm. Join CAAM as they kick off Black History Month with a full day of programming which will feature live performances, spoken word, and art workshops for all who wish to explore their creative side. 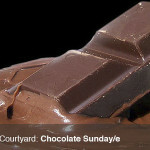 Kids in the Courtyard: Chocolate Sunday/e, Fowler Museum at UCLA, Sunday 2/8, 1pm-4pm. Chocolate is everywhere at the Fowler: a Mayan chocolate vessel in Intersections, silver chocolate services in Reflecting Culture, and Tayou’s chocolate-dipped sculptures in World Share. Eat and draw with chocolate, see where it comes from, and hear stories about chocolate from the Aztec, Maya, Louis XIV’s Versailles, and Hershey, Pennsylvania. Everything is better with chocolate! 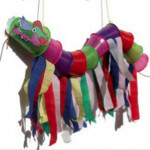 China: New Year Dragon Puppets (Family Art Workshop), Junior Arts Center at Barnsdall Art Park, Sunday 2/15, 10am-12pm. Participate in a free art class in the park. Each Sunday a different culture and media are featured. 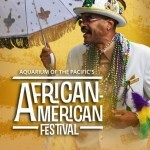 African-American Festival, Aquarium of the Pacific, Long Beach, Saturday 2/21 & Sunday 2/22, 9am-5pm. Join the Aquarium as it hosts its thirteenth annual African American Festival, celebrating the rich diversity of African American and African cultures. The weekend will feature live entertainment, arts and crafts, ethnic food, and more. Festival performers include Mardi Gras second line dancers, hip hop and break dancers, tap dancers, jazz musicians, interactive drum circles, West African dancers, and storytellers. Chinese New Year Festival , The Huntington, Pasadena, Saturday 2/21 & Sunday 2/22, 10:30am-4:30pm. 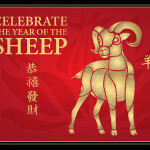 Celebrate the Lunar New Year at The Huntington as the Year of the Ram begins. This two-day family event will include lion dancers (at 11 a.m., 1 p.m., and 3 p.m.), martial arts demonstrations, mask changing performances, traditional music, authentic Chinese cuisine, and more. Many of the activities will take place in and around the Huntington’s gardens. The Highlighted Undiscovered Chinatown Tour, Chinatown, Saturday 2/21, 10:30am-12pm. Visit a temple, an herbal shop, art galleries, antique stores, and more when guided to the unique treasures–not to mention great bargains–to be found in Chinatown. Wear comfortable walking shoes and be prepared to wind your way through a myriad of alleyways, plaza stalls, and classical courtyards to discover the charm of L.A.’s Chinatown. Be prepared to stay for the Golden Dragon Parade (1pm) and Chinese New Year Festival. 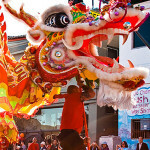 116th Annual Golden Dragon Parade, Chinatown, Saturday 2/21, 1pm. The parade includes almost two dozen floats, multiple marching bands, government officials, various dignitaries, entertainers, local business leaders, and cultural groups. Black History Celebration: Romare Bearden (Family Art Workshop), Junior Arts Center at Barnsdall Art Park, Sunday 2/22, 10am-12pm. Celebrate Black History Month with professional artist Howard Marshall. 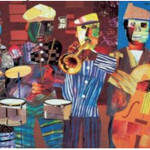 Listen to jazz and learn about Romare Bearden, African-American artist who worked in several media and focused on unity and cooperation in the African-American community. Create posters with Romare Bearden inspired collage, mixed media, and print-making. The Great Chinatown Hunt, Chinatown, Sunday 2/22, 11am. Get ready for a clue-solving adventure during the weekend of Chinatown’s exciting Lunar New Year festivities! Search for clues throughout this lively neighborhood of contrasts: discover ancient traditions alongside experimental art; explore picturesque alleyways and traditional temples, bustling shops and hidden courtyards. You’ll also be sent on two challenging Mini-Quests, where you must successfully complete a series of unique tasks to win extra bonus points. Discover the sights, smells and sounds of Asia…all right here in Los Angeles! This hunt is moderately challenging. World City Series: Gamelan Sekar Jaya, W.M. Keck Children’s Amphitheatre at Walt Disney Concert Hall, Sunday 2/22, 11am and 12:30pm. Enjoy music and dance from Bali. Gamelan Sekar Jaya is an internationally recognized gamelan ensemble. “The orchestra is composed of bronze metallophones, bamboo marimbas, tuned gongs, drums and flutes which the musicians play with technical precision and collective spirit. Sekar Jaya’s dancers wear elaborate guilded costumes and headpieces as they reveal the resplendent delicacy and striking nuance of Balinese movement.” Free visual arts workshops, designed by Music Center Teaching Artists, are available during each World City engagement. See website for ticket reservation information. Celtic Family Festival, Bowers Museum, Santa Ana, Sunday 3/1, 10am-4pm. Festival schedule will be announced mid-February. The Bowers’ vision is to celebrate world cultures through their arts. On the first Sunday of every month, the Bowers offers free tickets to the museum, Kidseum, and all activities.